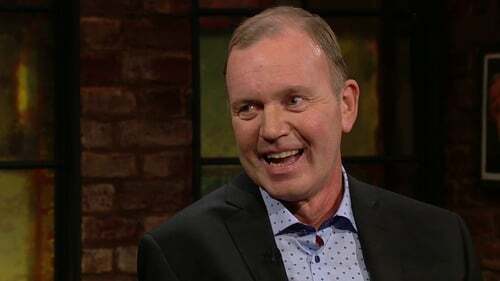 In April, Fr.Tony Coote vowed to me that he would arrange a 550km walk from Donegal to Ballydehob in July to raise awareness and funds for research into Motor Neurone Disease (MND). The 54 year old priest from the parish of Mount Merrion in Dublin had just been diagnosed with MND and I am his treating Neurologist. Within two weeks, Walk While You Can was born, with support from a wide network of people whose lives Tony had touched. The emblem of WWYC is a yellow balloon marked "Hope", with a string meandering through the map of Ireland, signifying the route of Tony’s epic walk. Hope is not a word that is often associated with MND, a currently incurable condition, but it is something upon which Tony and I are in complete agreement. By July, Tony’s walking had deteriorated. However, he remained determined and, despite my misgivings about his health, he completed the entire route using a wheelchair. Now, his speech is affected and he needs a machine to help him to breathe at night. Tony appeared on The Late Late Show last week. He talked about his life, his mortality and his decision to live until he dies. He also talked about a forthcoming RTE TV documentary, the aptly named Walking the Walk. Aside from following his walk, it is a study of Tony himself, a good man who happens to be a priest. Tony embodies his faith. The core of his being is about living a good life well and, in doing so, he has touched everybody around him, including me, a confirmed agnostic. Motor Neurone Disease (MND), also known as Amyotrophic Lateral Sclerosis (ALS), is a fatal neurodegenerative disease that strikes in midlife and kills one person every two days in Ireland. People with MND like Tony experience rapidly progressive and ultimately fatal decline in their ability to move their muscles, to speak and to swallow. We know that some people with MND also experience changes in their ability to process information and to manage their behaviour, and that MND sometimes overlaps with other more common brain conditions including dementia and schizophrenia. As Tony has publicly highlighted, there is currently no effective treatment for MND. Sadly, we will lose him. But he, like everybody with MND in Ireland, has been able to access very good multidisciplinary care from our team located in Beaumont Hospital, along with support from the Irish Motor Neurone Disease Association. Together, we can help people to manage the disease as it progresses. This is important but not good enough. We need better drugs. We have had many clinical trials of new drugs over the past 15 years and none has worked. Some people might think that this should make us lose hope. Tony knows that MND will beat him, but he, I and my colleagues who work in MND across Europe, believe that MND is not really an untreatable disease, but a disease that is understudied, poorly understood and underfunded. Actually, MND is not just one condition, but many different subtypes that have different causes and will most likely have different treatments. However, our clinical trials of new drugs have not reflected this. It’s a bit like cancer 30 years ago. Now, we know that there are many different types of cancers that respond to different types of drugs. Nobody would now accept that we should treat every type of cancer with the same drug. It’s the same with MND, but we don’t really have enough information yet to be able to separate out the different types of MND. In this respect, it’s different from cancer. We cannot take pieces of somebody’s brain out to examine and have to rely on indirect measures that help us to understand what is going on. It’s a bit like trying to understand a play by looking at the shadows of the actors. So what can we do? We already know a lot about the genetics of MND through an initiative called ProjectMinE. This is a crowd-funded initiative in which we, along with 13 other countries, perform gene sequencing of DNA samples. Project MinE has already made many important discoveries that are reshaping our understanding of MND, including a new breakthrough discovery from our group, showing that MND and schizophrenia are genetically linked. This work has taught us that there are many subtypes with distinctive characteristics. Our genetic studies confirm that each subgroup of patients is likely to require a different treatment. Recently, my European colleagues and I have come together as a new consortium called TRICALS (Treatment Initiative to Cure ALS). TRICALS is about hope. We will combine all of our approaches to identify new ways for grouping patients into different clusters, and will develop new and more cost-effective ways of testing new drugs. TRICALS will also allow us to enrol groups of patients in exciting new clinical trials that are specifically targeted towards their type of disease and will help us identify the best types of outcomes to measure whether each drug is effective. Tony and his many supporters have so far raised over €500,000 for MND, more than twice his original target. €250,000 of this will be used for our research into new treatments. At least 25 new drugs are in various early phases of testing and we have to get things right this time. Some of these drugs are made by drug companies, and some by academic centres like ours in Trinity. Sadly, it is too late for Tony, but his legacy will live on. The aim of our TRICALS Consortium is to form a "European Standing Army", ready to perform quality clinical trials of these new treatments in a sensible and cost-effective way, selecting the patients who are most likely to benefit from each new drug and measuring the effect of the drugs in a way that is reliable and easy to interpret. Our overarching objective is to have the right drug in the right dose for the right patient at the right time. To achieve this in Ireland, we will need funding. Our MND Research group in Trinity is part of the new Science Foundation Ireland-funded FutureNeuro centre and we are working closely to build our new research programmes. However, we also need additional funding. Across the whole of Europe, we think that the new approach will cost around €40 million. In Ireland, we will need around €8 million over five years, and we are working hard to raise this. We are very grateful to generous people across the country, including all of those featured on Walking the Walk who are helping to make this happen. Together, we will finish what Tony started the day he vowed to Walk the Walk and it is that which offers genuine hope. Tony inflated that little yellow balloon immediately after his diagnosis and it continues to float above him.